Nancy Nowak holds an MFA from Sarah Lawrence College, New York. Her poems have appeared in Fireweed, Poetry Northwest, The Sonora Review, The Jefferson Monthly, Iris: A Journal about Women, The Journal of Progressive Human Services, and The MacGuffin, among other publications, as well as in the anthologies The Zeppelin Reader (University of Iowa Press) and Windblown Sheets: Poems by Mothers and Daughters(Clatsop). She has been a finalist for The Southern Poetry Review Guy Owens Poetry Prize and the Billee Murray Denny Poetry Contest and has participated as a featured poet in public readings in Chicago, IL, and Astoria, Ashland, Oakland, and Roseburg, OR. 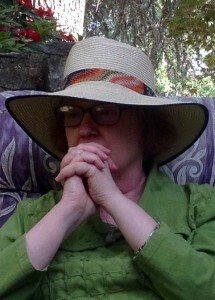 After twenty-two years as associate professor of English at Umpqua Community College, teaching developmental writing and poetry, she retired in July, 2016. She lives in Winston, OR. Lovely website. SO good to be able to read some of your poetry. Thank you so much for taking a look and letting me know! I hope to add more to current work and the publications page as the summer goes along. I was afraid I had missed this address when you first published it, so I thank you for posting it again. I love to read your work, Nancy, and take a special interest in you because you followed me in my long-time position at UCC. Those were very special days, and you are a very special person to carry the message for all of us. Keep on keeping on! Thank you so much for visiting the site and reading my work! I have always thought of you as my colleague even though we were not at UCC at the same time. I continue to love the work I do at the college, especially now because of the leadership we have and the calm, open atmosphere that has resulted. Thank you, too, for all you Facebook posts, often inspiring (except for the infuriating ones, but I mean that in a good way).